To fully understand where you are going, I think you have to understand where you are coming from. Study abroad for many of my peers is a new and exciting experience unlike anything they have ever done before. For me? Not so much. See, I lived in Prague, Czech Republic, from when I was 8 until I was 16. Coming to Freiburg for the semester is not necessarily diving into the unknown for me. I went swimming a while ago and I’ve just been drying off for a while, anxiously preparing for the next jump and anticipating whether it will still feel the same. The first few days were a blur. Between jet lag, meeting the 74 other students in the program, and finally moving into our apartments, it was a whirlwind. As part of the European Union Program here in Freiburg, we focus heavily on the European political scene. Our first class two days ago was our Integrative Seminar, which will primarily be a study of how the EU functions, how it is structured, and what purposes it serves. Actually, the only classes we take until the first of our three week long trips throughout Europe are this Seminar and two hours of German each day. The city itself is wonderful. 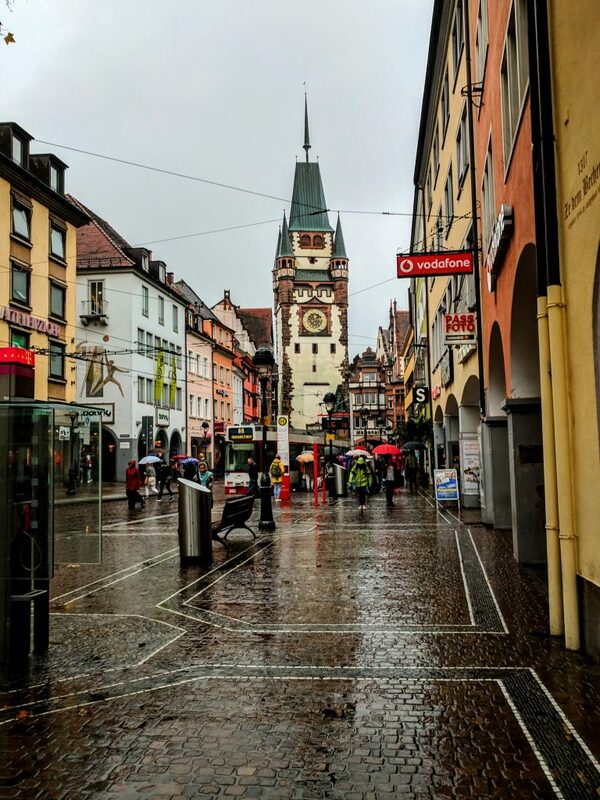 Though it has mostly rained on us so far, Freiburg is just big enough to be a lively city and just small enough to learn how to get around quickly. If you come to Freiburg expecting stereotypical German culture, you may be surprised. Though everything is still very pünktlich (punctual), this southern German town is very easy-going, eco-friendly, and quite welcoming. Along the lines of experiencing this new culture, I had my first dinner with my new housemates. There is something about sitting around a table for an hour engaged (or at least trying to be engaged) in conversation that truly makes living abroad finally seem real. 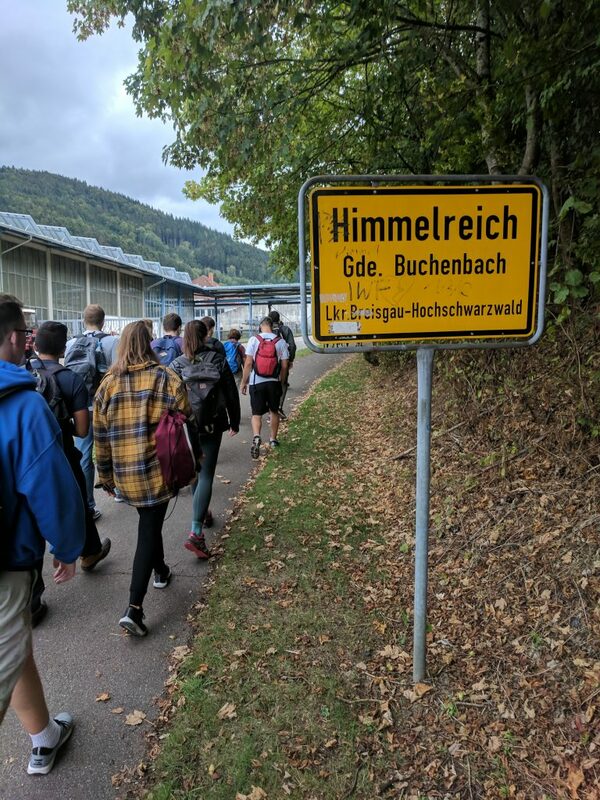 Because I am only living with German students who attend the local university here, I am looking forward to interacting with the people I will be living with not only to experience the lifestyle of Freiburg, but also to hear and speak as much German as possible. So far, I have been able to get recommendations on where to go for runs and which bakery is the best bakery in the area. Accomplishing simple things like these are essential to the experience from what I have seen, because they give you confidence and comfort moving forward. After the craziness of the first week, we got our first chance to get out into the countryside today. 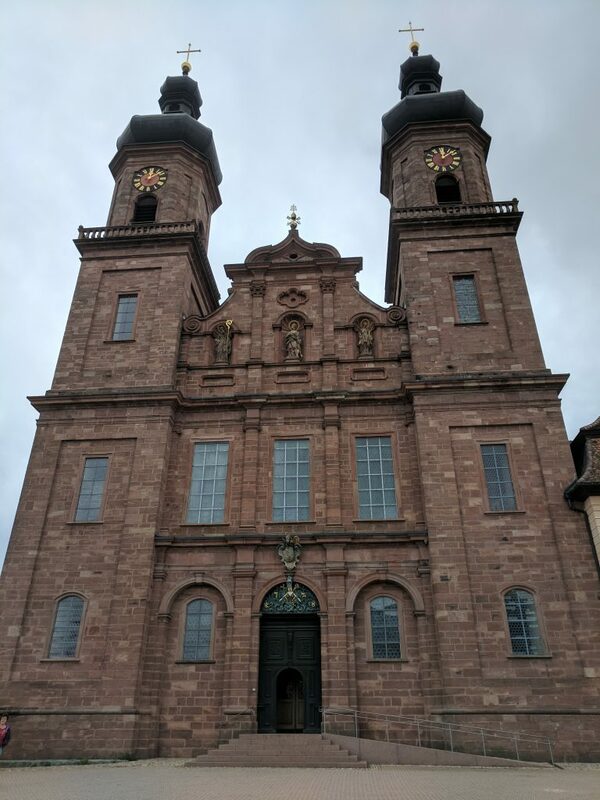 A short train ride followed by a brief bus trip left us in the small town of Sankt Peter, where we had the opportunity to explore the Abbey of Saint Peter. 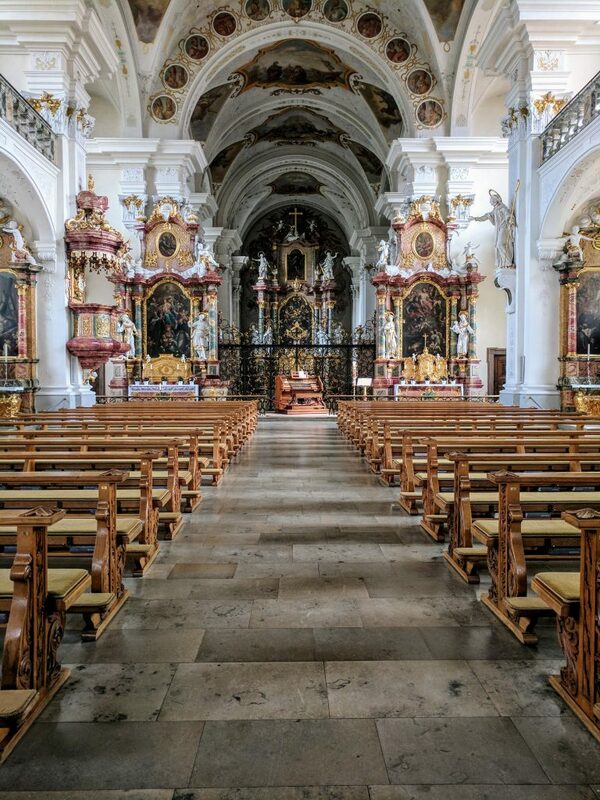 This church was built in the baroque style which was much more colorful and bright than most cathedrals you will find in Europe. 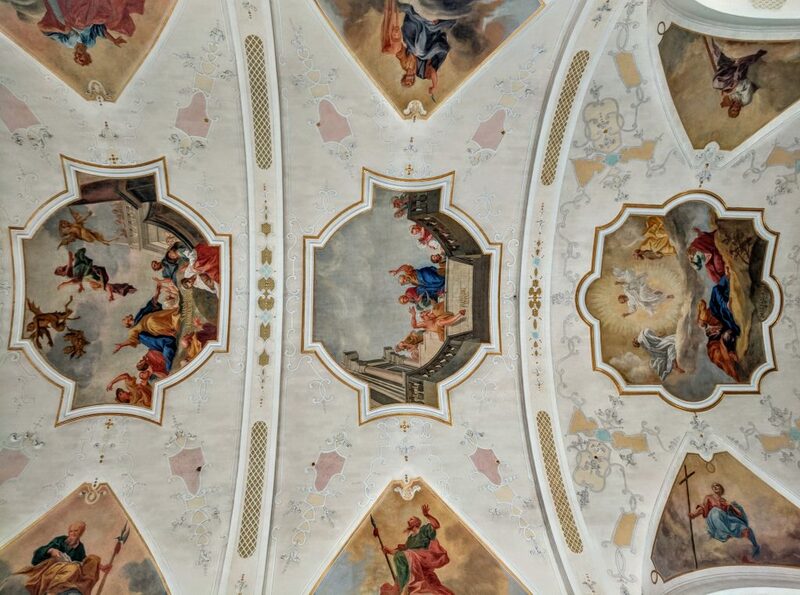 The beautifully painted ceilings of the Abbey. I could have probably spent another half hour in the Abbey, but naturally our German trip leader Karin ran a tight ship in order for us to get our hike started on time. The hike was about 3 hours long and provided us with a great opportunity to take in the rolling hills and beautiful woodlands, while also getting to get to know the other students in our program. Also on the trip was Jona (the German version of ‘Jonah’), a student studying at the University of Freiburg who basically functions as one of our RAs. 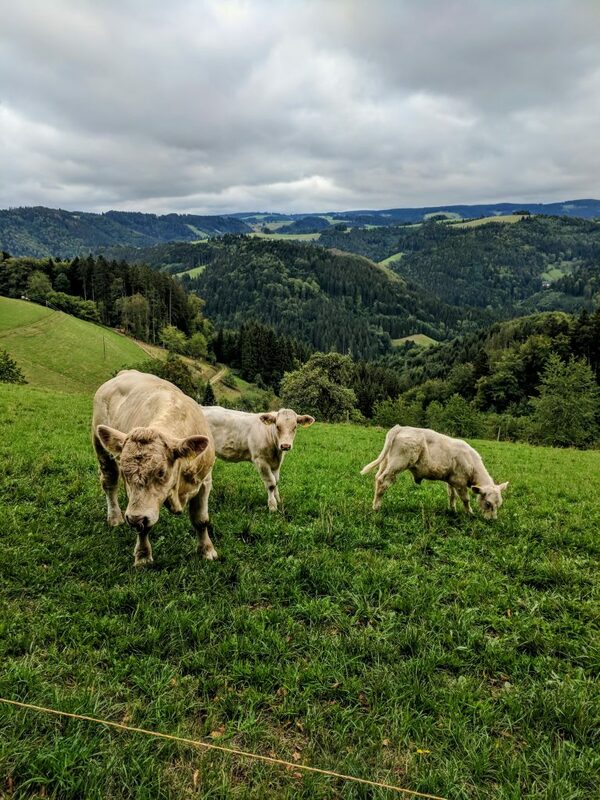 He shared with us that he grew up in one of the small villages like Sankt Peter in Germany and explained how he got into american football on accident while trying to help his aunt find the right channel to watch the lottery. His goal is to teach German and coach football in America once he finishes his studies. One career path I am interested in pursuing is working for a European soccer club, so it was fascinating to see how we each have such a similar passion for each other’s culture. It is also a reminder of how connected we truly are despite growing up in completely different environments. Cow sightings along our 8 km hike. 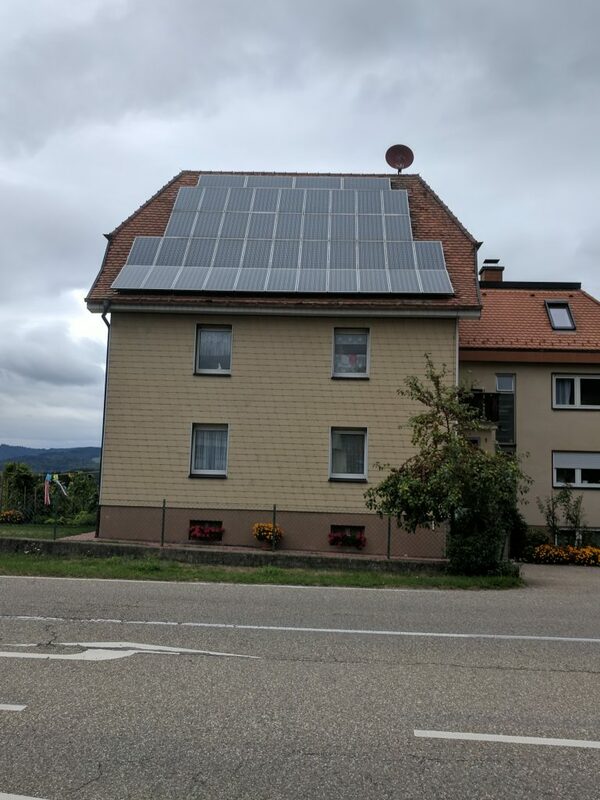 This area of Germany in particular heavily focuses on sustainability, and even outside the cities you will often find solar panels draped across roofs. Our final stop was Himmelreich, which literally translates to ‘heaven kingdom.’ I certainly wasn’t going to disagree. On the left is Schwartzwald Kuchen, or Black Forest cake, which combined nicely with hot chocolate and delicious strawberry ice cream. 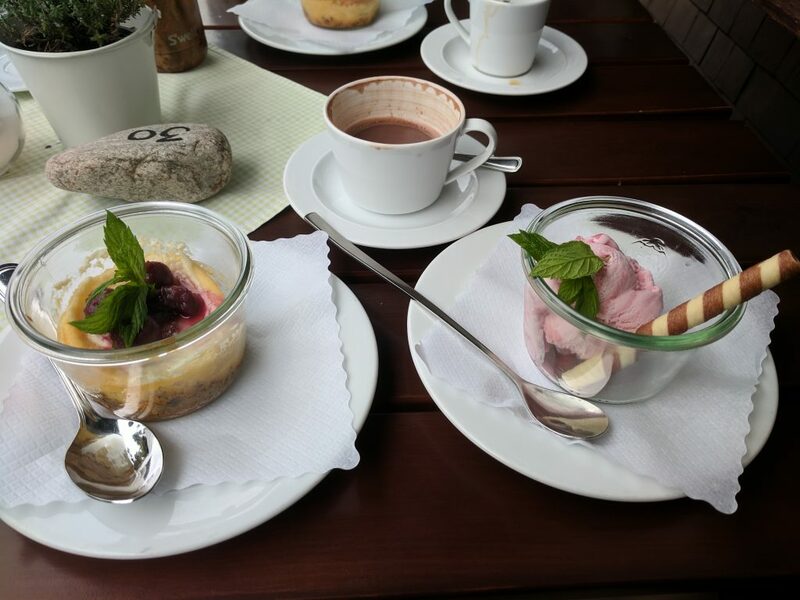 Our hike finally ended in another small town, where we stopped for some traditional German Kaffee und Kuchen, or “coffee and cake,” at a building that used to be a farm, and has now been renovated into a hotel/restaurant that helps employ adults with mental disorders. I myself am not a coffee drinker, but the hot chocolate and other items pictured above were the perfect treat to finish off our hike.